The ideal cow cycles (ovulates) early in life ( 12 months of age) and within 45 days after calving, becoming "in calf" the first time she is given the opportunity. 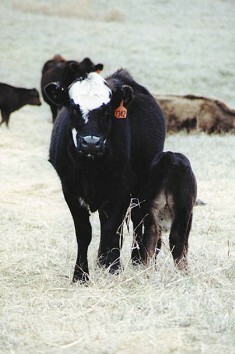 Many of the tools described in the Herd Management Section were implemented to develop this trait. Heifers are given 45 days to become bred, cows 60 days. Open cows are removed from the herd. Sires are also selected for early and marked sexual maturation. Australian researcher P.R. Holmes PhD, when reviewing economic impacts, shows fertility as 5 times more important than growth and 10 times more important than carcass traits.